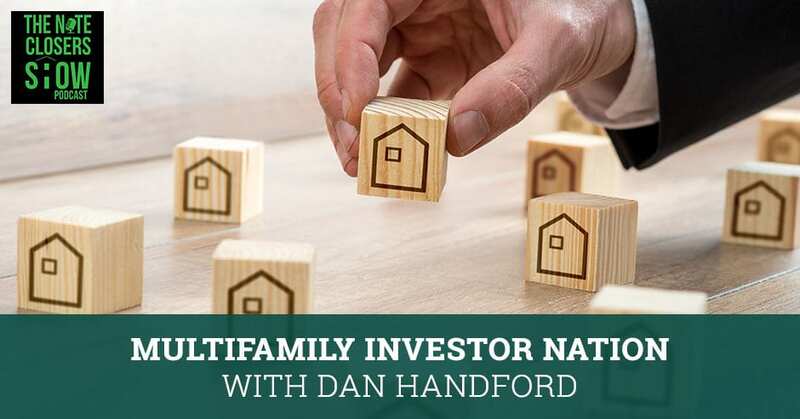 Scott talks with Dan Handford from Multifamily Investor Nation about the apartment market deal opportunities and his upcoming online apartment event. Dan shares some great nuggets about where to find your deals, especially for those that are looking at multifamily. He gives out the places where everybody else have been missing while laying down the big ten countries you could look for deals. Dan also talks about some of the tax advantages as well as the biggest mistakes investors are getting into when it comes to the multifamily game. Rounding it all up, he talks about his online community at Multifamily Investor Nation and his upcoming event. We are excited to be kicking off a series of a couple of days of videos here of some events that I believe that you need to look to attend. These are events that will help dramatically revolutionize your business in several forms of fastest ways to new investors or new product or new exit strategies before you let your buyer come in across from banks and asset managers. We are excited to kick that off with a good friend of mine. I was very honored to be a guest on his podcast. I think I’m the first podcast he’s going to be on announcing his new event. We’re excited about this event. This event you definitely want to put on your calendar. 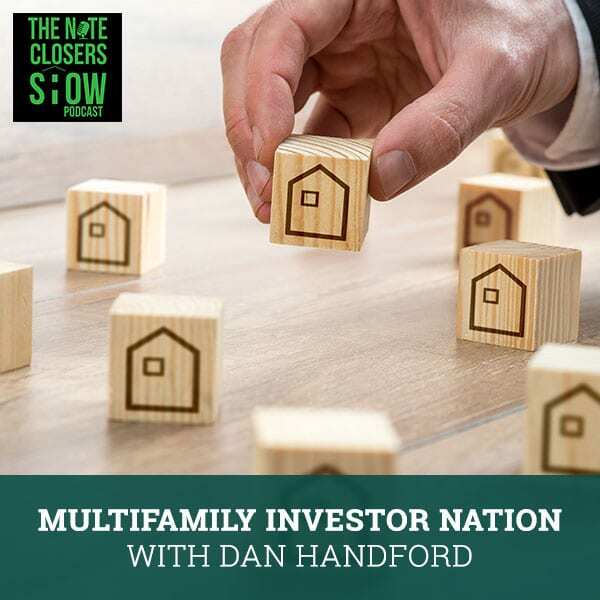 Let’s give a warm welcome to our good buddy, Dan Handford from Multifamily Investor Nation. How’s it going? I’m doing great, Scott. Thank you so much for having me. I’m looking forward to sharing. For those that don’t know, tell them a little about yourself out there and why they need to be listening to Dan? It goes back before I even got into real estate. One of the main reasons why I got into real estate is because I started having to write large checks to the government and I was tired of doing that. I started checking out what was the best option for me to start to invest, to offset the income that I was generating. One of the things that I started to research heavily for several years is multifamily investing. You can definitely in multifamily, talk about duplexes and tris and those kinds of things. Four units, six units. I primarily invest in a large commercial apartment complex. It’s 100-plus units or more but there are a lot of people in our group, the Multifamily Investor Nation, who buy smaller properties down to the five-plus units somewhere around in there. One of the reasons why I created Multifamily Investor Nation is to create a platform that provides high-quality content and information to be able to allow everybody to understand the major advantages of multifamily investing and of course, especially the tax advantages of it because the tax advantages of it are what sold it for me. I know for a lot of people that’s what it is as well. Let’s talk about the market. With calling banks and talking to asset managers, we don’t see a lot of distressed multifamily stuff. That’s one of the big questions people get, “You’ve got the distressed apartment complex. I can buy the note.” First off, if I did, I’m going to take it down. Second, where are you finding your deals? I don’t want to give away your secret sauce but give nuggets to our extended hashtag note family out there that’s looking at multifamily. They’d been on their residential side. They’re looking to up their game a little bit. Where can they find the deals out there that everybody else is missing? Multifamily Investor Nation: Finding deals is hard work but if it were easy, then everybody would be doing it. I’ll describe two different ways. I get to ask that question a lot and I don’t mind sharing. I’m an open book. I don’t mind sharing my good stuff. When you’re talking about investing in smaller properties, less than 100 units, most of the time those are going to be done through some form of a local real estate broker or agent. There might be a larger firm that does some of the 60, 70, 80 units, but for the most part, if you’re in the 30 to 50, somewhere around in there, there’s going to be a local agent that will be representing the seller there. My recommendation is to get a buying agent to be able to help you find these properties and to represent you. That’s one way to do it in smaller places but there are also other ways. If you’re trying to find a property that’s not on the market right now, smaller mom and pop property, one of the best things you can do is start to find their contact information. There are web scrapers out there. I even have some contact information if you’d like for any of your audience to get that contact information for a web scraper that I found on Upwork that can scrape a county’s website as well as cross-reference that with Apartments.com. Then you can mail them the information, you can drop by. A lot of times there are corporations when they get a little bit larger, it’s harder to pierce that veil to know who exactly to contact. A lot of times we’ll go through an attorney’s office. I even found a property that was a little over 200 units in Charlotte, North Carolina that I decided I wanted to find this contact information. I followed the address down to a big building downtown Charlotte and ended up behind the security desk. Somebody sitting there was not letting me go up to see the attorney because they were upstairs on the 30th floor or something like that and they wouldn’t let me up. I believe that’s what it takes to get these properties as to do that is to take that extra legwork. The second piece of it is if you’re trying to buy properties like I am where you’re getting in those large apartments, the best place to do that is through a broker. You can say, “I want off-market listings,” but it’s very rare for us to build and find an owner that is going to be a reasonable selling owner that’s truly off the market that’s not broker represented. If you start to court these brokers, if you start to become friends with them and they start to send you their regular listings that we would call on-market. Not necessarily on LoopNet or MLS or anything like that because once you get into those large spaces, they don’t list them on the MLS. It’s only done through these multifamily brokers, through Marcus & Millichap. We use one through Capstone Apartment in Charlotte there. 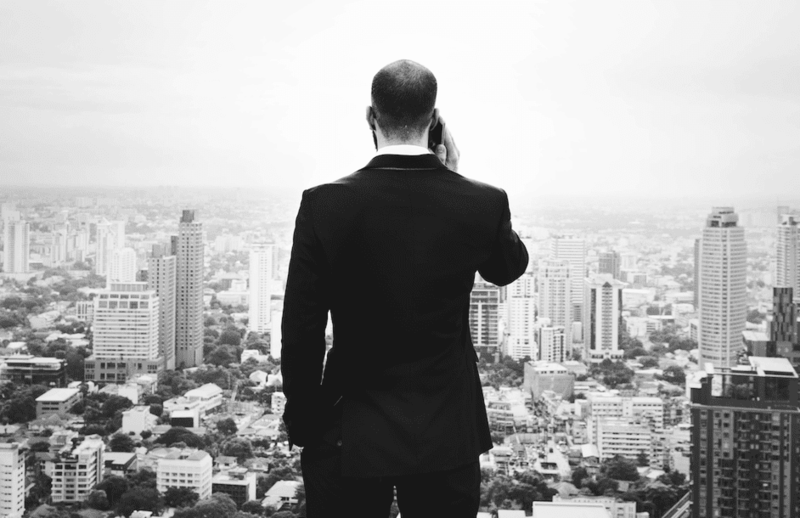 There are multiple types of multifamily brokers out there. Once you start to close deals or they see you’re closing deals with other brokers, that’s when those brokers will start to send you some of their pocket listings, those listings that they’re not going to send out to their 3,000-email database of multimillion investors. They might say, “This seller wants to sell and sell quick. They don’t want to go through LOI and best and final and all that kind of stuff. Here’s their information, let’s see if we can get a deal done.” They might send it to four or five of their best people. That’s what you want. You want to go to court those brokers and be able to take good care of them and also so that they could take care of you. That’s the gist to trying to find these deals. It’s not easy. It’s hard work but if it was easy, then everybody would be doing it. Your goal is to come in, buy these assets, buy these apartments and then regentrify them. Get the cashflow working again, take over a problem property from an owner and then keep it for cashflow, fund it with cash and then after a couple of years, refinance your investors out or what? I’ll go back to two different spaces. I’ve told you I’m in the 100-plus unit. For our multifamily investors who are part of our group doing the 20 to 50 units space, most of them are acquiring these properties that have some form of deferred maintenance, some of the value-add component to it where the exterior needs some renovation, some of the interior units might be classic 1960s or ‘70s units or even ‘80s units or whatever. They just need to have a facelift done on them to be able to push their rents up. I’ll give you an example of a property we’re acquiring right now. We were only acquiring this one because it has such value-add components to it with very little renovations. We have a property right now in Knoxville, Tennessee that has 33 units and we’re buying it. We’re normally 100-plus units, but this one came across our desk. We couldn’t pass it up because this was a mom and pop original owner. They’re the original owner and developer of this property. On this property, I think twenty of the units are a month to month leases. What that typically tells you is that the mom and pop owner is scared to increase their rents because they’re afraid to have a high vacancy rate. If you have like that, then that’s a very easy property to be able to go into doing market research and analysis and talking to other property management companies to make sure that you can push the rents up, but we can increase the rents by pretty much doing nothing. Just being able to go in there day one and increase the rents to market rents because those rents are five to seven years old. If you go in there and increase the rent, that’s an immediate value-add without having to do very much heavy lifting. Of course, we’re going to add a few little extra things inside of the units. Maybe spend $500 to $1,000 per unit, somewhere around in there. Maybe even a little bit more than that, but maybe like $1,500 is on that property. It depends on the unit on what we’re going to do with it. It’s being able to increase it a little bit. You have to push the rents a little bit higher. Even in that area, our property manager has other locations down the street that are in poor condition that are getting in $300 or $400 more for rent per month. To be able to go in there and to create that kind of a value-add, it’s great. The larger apartment complexes that we’re purchasing, we have one right now in Greenville, South Carolina. It’s 130 units that we’re purchasing and we’re closing on it in December. That one is going to be a complete reposition. The reposition is going to go from a C class property to a B class property. What we’re going to do is put a very large cap X into it. This is going to be a bit of a heavier lift. These are classic 1970s units. A few of them have been renovated but not to the standards of what most of the class B products are looking at right now in Greenville. We’re going to put about probably $13,000 a door, somewhere around in there to renovate that includes the exterior as well as the interior per door costs and be able to increase their rents on that property as well. We don’t project to try to be the best or the top, the highest price on our projections. We’ll still try to get that when we start to produce the rent. We’re not trying to talk about selling it to a tenant or whatever but we’re going to project a little bit lower using the second or third tier position from the market leader in that area. There are renovations. Other things that we look for are areas that we can increase the NOI, that net operating income on a property because the value of these properties is directly tied to that net operating income. If we can increase the net operating income on a property, we can increase the value. A couple of years, we can refi out or we can go ahead and sell it and be able to get our returns that we’re looking for then go into the next 1031 exchange to the next larger property. The other areas that we look for are adding things like valet trash. You have a property that has trash all over the place, so there are dumpsters all over. There are companies out there that you can hire, or you can do it in-house where three times a week somebody goes by and picks up the trash in the morning. The tenants set it outside their front door and you can charge an extra $25 to $50 a month for that service. You have other services. It depends on the class of product that you’re doing. You can do coin laundry service. Some places like this product in Greenville, our goal is to take the coin laundry out of the product. We’ll take the coin laundry out and be able to add it into the interior of the units because it is a B class property. We’ll maybe add on a car washing station. Multifamily Investor Nation: If you buy a real estate project or property, you’re going to have to be able to depreciate it. I have a fitness center, we’re going to renovate the fitness center, make it look a little bit better. One other unique thing about this property in Greenville is that it has a large property management office, a large leasing office, like 4,000 square feet. One of the things that we’re going to do on that property is that we’re going to use probably about 1,000 square feet of it for the leasing office, maybe closer to 1,500 to 2,000 but the rest of it, it’s used to be an old house. It has four bedrooms in it that have bathrooms. We’re going to renovate that leasing office and add four additional units to the property. To be able to look outside of the box and go into a property, that’s what I like to be able to do and then get it implemented and start to take those returns. The tax advantages, that’s something we haven’t talked about yet, but that’s definitely something that this property is going to do for us. What are some of the tax advantages that you are getting? If you buy a real estate project or property or whatever, you’re going to be able to depreciate it. All of your single-family properties are going to be depreciated over a 27.5 years period of time. Commercials are closer to 39 years or something like that. In multifamily though, even these larger 100 or 200-unit properties we’re buying, they’re depreciated at 27.5 years, not 39 because they are considered residential. I don’t want just my 27.5 years depreciation. I want to do what’s called cost segregation on these larger properties and the larger the property, the easier it is, the more cost-effective it is to be able to do that. Cost segregation is you are hiring an outside engineer firm to come in, to be able to piecemeal a property down to the sheetrock, the studs, the countertops, the doorknobs, the floors, the shingles and everything. We’re able to accelerate the depreciation on that property five to fifteen years depending on the item inside the asset. We’re able to accelerate that depreciation faster than 27.5 years, which you can’t do unless you do cost segregation and that cost segregation analysis does cost a lot of money, which is why you can only afford to do it if you’re buying these larger assets and all of our passive investors are able to pass through all of that depreciation through to our passive investors. Trump enacted his new tax law where he added what is called bonus depreciation. We can expense 100% some of our cap X that we’re doing that first year and pass through again those same depreciation losses through to the investors. There are so many advantages to this. Think about it this way. I’m cashflowing off of a property because we only buy cashflowing properties. Every month I’m getting a check from my cashflow. At the end of the year, I get a scheduled K-1 that shows I lost money due to this passive income, due to the depreciation and then that loss can also offset other gains. I’m not a tax advisor. I’m not a tax attorney. 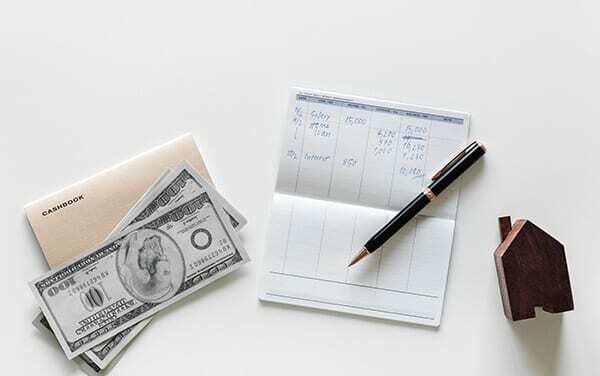 I can’t tell you exactly all the different nuances of it and nor would I want to because you need to be able to talk to your accountant about that, or I would say a tax attorney or a tax advisor about this, but it can definitely be a game changer for you to be able to reduce your taxable liability. One of the things I like to ask you is where do you see some of the biggest mistakes of investors that are getting in the multifamily game? What mistakes do you see new multifamily investors making? Everybody would probably say overpaying. A lot of people who would say that they looked back five years with the properties that they didn’t get. Even if they would have overpaid, they probably would have done really well right now. You have to look at the current state of the market and see where we are. One of the reasons why I like this asset is because even back in 2008, it was one of the very few property asset classes that did okay during the crash because when people couldn’t buy homes, where do they go? They went and rented an apartment. They were able to stay pretty stable, very few defaulted. There are some and most of them were ones that had a note that came due in the middle of it and they couldn’t refinance out of it, so they were forced to sell. We can take that into consideration even right now because they are calling for some correction which if you go back and do the research, they’ve been calling for this correction since 2015. That’s when they first started talking about it. Who knows when it’s going to happen? With the volatility of the interest rates rising and various things happening, the market is definitely shifting and moving. The biggest thing is making sure that you’re not over-leveraging yourself. That’s one of the biggest mistakes that happened back in 2008 is that there were properties that were over-leveraged. They were given away. Fannie Mae and Freddie Mac were doing 90% to 95% LTVs back then. Now, they’re not. They’re already tightened up now where we’re seeing in 66%, 68%. They’re tightening up on proceeds and increase in the interest because the market’s rising and it’s because the interest rates are rising too. The biggest mistake is somebody who wants a deal and then fudging the underwriting to make it look like a good deal. The other thing that I also see is people buying in a market because the entire market is a hot market. For example, if you look at some of them like Charlotte, North Carolina. There are some great assets in Charlotte, North Carolina, and there are some great markets in Charlotte, North Carolina but Charlotte, North Carolina also has some bad locations, bad markets that you do not want to invest in. Unless you know that market, I would suggest being very careful about who your sponsor is and who you’re investing in. You definitely want to make sure that if somebody is saying that the property is in Atlanta or in Jacksonville, Florida or in Orlando or Charlotte or wherever and they’re not talking to you very specifically and very granular about that submarket, there’s probably a reason for that. You have to make sure you keep an eye out for that as well. With raising capital, people should not be investing in blindly into a fund or a deal you’re saying. They should do the research on the principles. Is that correct? Yes. The biggest thing is trusting the sponsor. The sponsor is the person who’s putting the deal together and presenting it to investors. If you trust your sponsor, then I think that you wouldn’t have to do as much of that. The reason why is because most people who are investing passively, they don’t have time to do all this research. They don’t have time to go and visit the property and do property tours, work with property management, take down the property and work with brokers. They don’t have all that time. They have this fear of missing out. This FOMO of not being able to get the passive income from real estate because they don’t have time for it. They’re blindly a lot of them putting money into deals. It’s all about understanding and vetting the sponsor first. As long as you can understand that sponsor and they have a fairly good track record, or at least they have somebody who is on their team that has a track record. That’s one of the things you want to make sure you look for is a sponsor who knows what they’re doing and knows how to handle these kinds of properties because you never know. There are properties that started to go south, and they’ve never run a business before and that’s what this is. This is running a business. You’re buying an asset, but it’s running a business too. When the NOI starts to drop, you’ve got to know how to pivot and if you don’t know how to pivot then you’re going to be stuck. It’s a huge point that a lot of people need to realize. If running a business, you’ve got to make sure that the people who are running that are doing a great job or know how to adjust when the market changes. You are out of Columbia, South Carolina, correct? That’s correct. Columbia, South Carolina. There you go, going Gamecocks or going Tigers? I do go for the Tigers when they’re not playing with the Gamecocks, but my alma mater is the Gamecocks. I have to go for them. We did a very good job without a second rank team for not being ranked. Their defense was terrible. You mentioned a couple of cities. Where do you find the most of your deals? The big ten countries, Southeast Conference, part of the United States? I focus primarily on the Texas market. I have some properties in Dallas and Houston. We also have properties in South Carolina. They’re all over the Southeast where we’re looking at. Charlotte, Raleigh, Durham, Jacksonville, Orlando, and Atlanta are our top markets because Columbia is in my neck of the woods. I’ll look into Columbia as well as Charleston, South Carolina and I even have offices there too. Something else in my background is I have five medical offices that I run and own. They are non-surgical orthopedic clinics and we do prolotherapy, PRP, stem cell, those kinds of things. I have them all over South Carolina, so I can have a little bit of a heads up on that market because we’re in it. We’re in Charleston, we’re in Greenville, we’re in Columbia, Fort Mill, which is South Charlotte market and North Augusta, South Carolina too. Is that where you’re raising your funds from, the medical side of things? I do have a lot of physician friends who are investing in my deals. The thing with them is that they’ve been following me for a long time, even before I went into real estate. When I went into real estate, they wanted to follow me more. A lot of my friends I’ll call up and say, “Would you be interested in this project?” They’re like, “How much are you putting in, Dan?” I’m like, “I’m putting in 250.” They’re like, “I’ll match it.” It depends on the person. Physicians are great investors because they don’t have time to go and buy a real estate project, but they do have time to be able to press a button to wire some money to be able to get some of those passive losses and also passive gains. One of the things you’ve been, you’ve done well, you built an online community, Multifamily Investor Nation. I’m excited that you are putting on an event come the first part of the year. Talk about that event and what makes it so unique. Multifamily Investor Nation: Physicians are great investors because while they don’t have time to go and buy a real estate project, they do have time to wire some money and get some of those passive losses and gains. I’ll have to give credit to you, Scott, because when you came on to my podcast, we were interviewing you and I was like, “Scott, I like you. I want to have you on my longer version of my podcast.” Normally on my podcast, we have daily interviews because it is a daily podcast and on Saturday I have my own weekly show called Step Up Your Game with Dan. That’s the one I wanted to have you on and it was a selfish reason, I will tell you that. I took a page full of notes. I was sitting here on my desk of all the different things we were talking about. If the audience want to check that out, make sure you go to a ToughDecisions.net. Look at our podcast there, subscribe to it on iTunes called Tough Decisions for Entrepreneurs. During that podcast and during that interview, you are the one that had the light bulb moment go off in my head. I was like, “There is nobody doing these virtual summits and virtual events for multifamily.” They’re all live in-person events and don’t get me wrong. I like live in-person events, I just don’t like putting them on, which I know you don’t either, which is why we do virtually. Doing these virtual events, one of the biggest things you have to figure out is the networking, which is why I like what you’re doing with it because you figured out that networking component of it. How to network with some of these investors and how to network with some of these people that you would normally only be able to do if you’re at a live event. My goal is to create this. I’ve already started the event. I’ve already got the page created. Everything’s done. I got you to come in. You’re going to be speaking at it, so I’m excited about that. It’s called Multifamily Investor Nation Summit. We’re going to have over 1,000 paid attendees on this very first one that we’re going to launch. It will be on January 17th to the 19th. Thank you so much for your encouragement to be able to get it going. I’m glad to help out there. We’ve got the link, it’s Bit.ly/scwcnMFINSummit. Check it out. What’s the best website? It’s a little bit easier than on the link. You can go ApartmentEvent.com. Research it and you can also put that link if you want in the comments section or wherever you are. Go in and check it out and see what we’re doing. It’s all for multifamily investing, even for those who don’t even know what it’s about and they’re just getting started and they just want to get information on it. We have some of the best speakers coming. We have Scott Carson on the roll there. We also have other people in this space, Neal Bawa, Joe Fairless, we have Vinney “Smiles” Chopra coming on, Jonathan Twombly. Go to ApartmentEvent.com and you can see all the different speakers that we have there. We’re going to have 30-plus speakers, probably looking closer to 40 or 50. We’re going to do six different panels and it will all be recorded. Just like at your event, we’re going to do the same thing follow after your footsteps and provide the attendee list all the people who have registered. I’m excited about everybody being able to join in on this massive Multifamily Investor Nation Summit event. I’ll be speaking from the Bahamas. This is going to be permanently content-driven as well, not a pitch fest or anything like that. It’s definitely content driven just like yours. It’s very value-driven and trying to provide as much content as possible. People are looking for mentors in this space, so a lot of these speakers are mentors and coaches. You can look them up after the event and try to reach out to them. It gives you a good idea of who is in this space and also what that represents and to see if you connect with them because not all coaches are the same. They might provide the same content but the way they present that content is totally different. You need to make sure that you find one that is good for you, but you’ll learn so much of this event. You can find more information at ApartmentEvent.com as far as all the different specifics on the topics and various things like that. It will definitely be a good time, good networking and doing some of the same things we do with the Note CAMP we had. You’re providing the replays as well to people out there too for them. If they have to miss an hour or two, they’ll be able to go back and catch the replays, which is phenomenal. Everybody wants to level up and everybody’s a little bit worried about what the market’s going to do in the next 12 to 24 months. I’m a big believer that we’ll see a downturn again, especially in the housing side. One thing about that is I had somebody ask me that. They said, “What do I tell an investor if they asked me about the stock market crashing or going far down?” I was like, “That’s probably a good point to bring up because would you rather have your money in that or would you rather put it in multifamily? 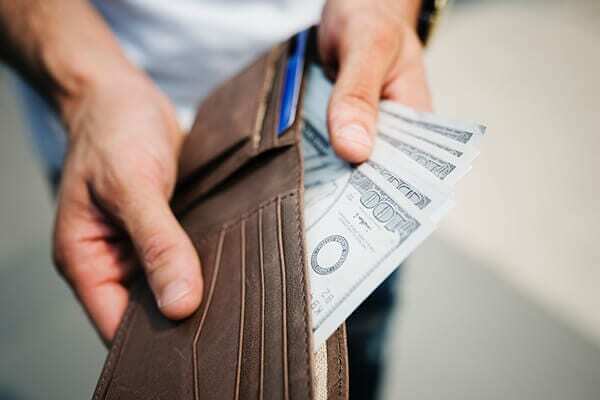 Where are you going to put your money?” I’d rather put it into a cashflowing asset that’s going to be producing that revenue for me and on a regular basis. There is no way, even back in 2008, the market did not crash so far that real estate went that far down, it didn’t come back. The people who were able to hold through that crash are doing phenomenally well right now. We bought a lot of stuff back then through the downturn and the upturn and stuff like that because you’re buying stuff at a substantial discount and things like that. There’s an opportunity out there if you know where you’re looking. With the connections, you’re reaching out and showing people you can close and putting a good team around to the finance and stuff. What’s another mistake that besides overpaying, any other mistakes that you see investors making out there Dan? Whether maybe it’s on the raising capital side or the marketing side or the operational side. Is there anything specific that sticks out? One of the things that a lot of the newer investors will do especially if we’re talking about more of the syndication space where you’re buying a little bit larger asset, 50 to 75 units or more and you’re pooling multiple investors into one deal. You have to register all those with the SCC or at least get the documents prepared for the SCC they are called the PPM documents and get an SCC attorney and stuff like that. Probably the biggest mistake is the investors or the sponsors that are putting these deals together, they’re not understanding who their customer is because a lot of times they think about the customer being the tenant. That customer is not the tenant. The customer is your investors. When you’re trying to find a property, you don’t try to find a property that’s good for you or that’s good for the tenants. You find a property that’s good for your investors. What I mean by that is you have to take care of your tenants because the tenants are the ones that are paying the monthly rent. You want to make sure you don’t have very much turnover with that. That’s not what I’m saying. 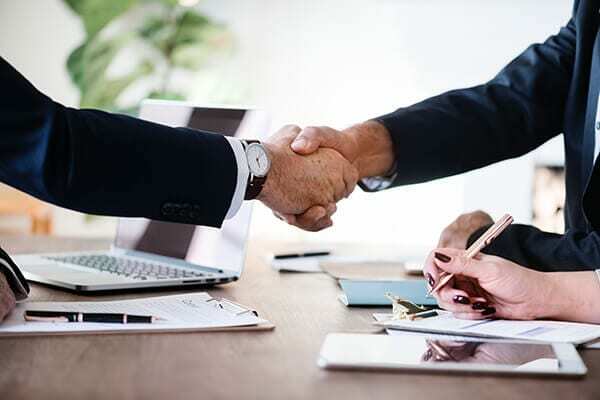 In the business itself of the apartment complex, the tenant is the customer, but in your business, when you’re pulling multiple investors together, you have to make sure that you can sell that to your investors. One of the biggest mistakes that I see as a new sponsor, trying to find a property because they get a good deal, and a market that investors do not want to put their money. It’s a tertiary or a current market. They’ve got a good deal on it. I say a good deal but also, it’s harder to not only sell the investors initially, it’s also harder to sell it at the end. When you’re trying to get out of that deal, you’re going to have a fewer pool of people that are wanting to buy that. A lot of people when they’re in this space, they try to get caught up in the whole cap rate game. “I want to buy the best. I want to buy the highest cap rate as I can.” For those of you who don’t know, the cap rate is what allows us to know what the value of the property is. When that cap rate goes up, that means the value of the property goes down. If the actual cap rate goes down and the value of the property goes up because the NOI is the constant, the net operating income. With the cap rate, I prefer buying at a lower cap rate because if I spend my time, energy, and effort trying to renovate or value at a property, but it’s only an eight cap, I’ve only increased the value on that property by $1.25 million if I increased the NOI by $100,000. If I did that same energy, time, and effort on a property that’s a five cap, now I’m at $2 million increase in valuation. You can see the reasons why you would want to buy at a lower cap rate. It’s not always looking for the lowest cap rate, because I want to make sure that I can get the best return for my investors, but also myself, because I’m an investor first. I got into this game because I want it to be able to be a passive investor. I wanted to get into this game because I wanted those passive losses as well. I’m trying to find properties that are cashflowing and that are providing these losses and that are on these lower cap rates because I’m going to get the bigger bang for my buck if I’m buying in those lower cap rates. Everybody wants to buy at a cap rate. I see this happen all the time. People go to one workshop where they watch one webinar. I’m like, “I’m looking for a thirteen cap. I’m going to buy thirteen cap.” It the NOI makes sense and you’ve got these other opportunities, depreciation, you’re able to do some value-add to increase the things on that. There’s an opportunity. It’s not all about just what the cap rates. The number can be adjusted, and it depends what the market does what you put into it. It can have a lot of value to your bottom line. The whole thing is trying to increase that in a while. Upon exit, you can get a nice paycheck at the end. If you’re buying at a thirteen cap, when you sell it, you’re probably going to sell it like a fourteen or fifteen cap so you’re not even going to make that much money off the deal. Here’s the thing, the reason why I’m in the larger space, 100 plus units or more is because it takes me the same amount of time to close a 150 unit than it does a 50 unit, but I get more upside and more return on 150 unit than I do on a 50 unit. All of it has to do with economies of scale, but also where that asset is. Before you even buy a property, you should know who you’re going to be selling your property to in the end. If you can’t define that person who’s going to be buying it at the end, then you shouldn’t be buying that asset. You shouldn’t be buying it because you’re about to sell it to the person at the end, you’re not going to be able to sell it to your investors. I see a lot of people doing that where they’ll either buy a property or put an LOI on a property and get it under contract and then not be able to raise the money for it because it’s not in a very good market. Multifamily Investor Nation: There’s an opportunity out there if you know where you’re looking. Once again, the website is ApartmentEvent.com and check out the Multifamily Investor Nation Summit. Some of the great things he’s got, if you go to the website, you’ll see that he’ll be talking about mindset, will be talking about the market update 2019, raising capital, closing deals, financing strategies, investor relations, finding deals and then how to select market. One of the great things out here is you add a lot of value-add to what you’re doing, Dan. I agree, there’s nobody in the apartment space doing these virtual events at all. That’s an awesome opportunity out there and you’re doing a great job out there. I look forward to seeing the event take off like I know it is. You’ve already got about 100 seats sold I think you said once we get talking. We’re spending quite a bit of time doing some podcasting, doing some interviews, various things like that and doing a lot of social media and you were already blitzed some stuff all over the place now. One of the strengths of mine is marketing. With this first event, I’m going to pretty much be hands-on with all of it. What normally I do is be hands-on on the first event, the first thing that I do, and then I’ll find systems and procedures to put them in place to go to hand them off to somebody else to let them do it. What’s the best way for them to reach out to you if they have questions? Just going to the venue on the contact page or you have different contact information Dan you’d like to give out? You can go to MultifamilyInvestorNation.com and there’s a place there to subscribe to our email list if you want to jump on there without having to register for the event. You can go to the ApartmentEvent.com space. We also have a Facebook page and a Facebook group. You just search for Multifamily Investor Nation. I’m on there all the time. You can also email me at Dan@MultifamilyInvestorNation.com. I’ll be glad to answer any questions that any of you might have. I’m wishing you the best of luck. We’ll definitely be in contact. Check out ApartmentEvent.com. That’s the easiest website to go to. You’ll see the speaker line up, the subject and be able to register their directly. You still got an early bird special going on right now, is that correct Dan? The tickets are $695 or $697, but right now they’re on sale for one $197. We’re increasing the price for closer we get to the event, so if you want to jump onto the lower price, go ahead and I suggest get your seat now at the $197 spot. Dan, thank you so much for coming on the Note Closers Show. We look forward to working with you in the future on some different things as well and I look forward to speaking at the Multifamily Investor Nation Summit. Scott, thanks for having me. Check out the website. Dan’s offering a huge discount. 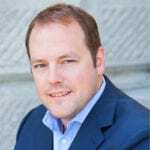 Some great speakers on the schedule and he’s got some great stuff that they’ll be giving away as some ways to boost your database, connect with a lot of other investors. He’s planning on giving away the database as well too like what we did with our events. There are great opportunities for you to expand your database and find some investors. Make something happen. We look forward to seeing you all at the top. Founder of the Multifamily Investor Nation with over 2,000 apartment investors and syndicators. Join our group here: www.multifamilyinvestornation.com or visit www.ApartmentEvent.com. I have successfully started 8 different businesses from scratch to over 7 figures of revenue each. My wife and I host a popular daily podcast called “Tough Decisions for Entrepreneurs”. Find out more information here: https://toughdecisions.net. I am a speaker and thought leader in the apartment investing and entrepreneurship space.